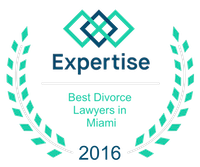 While every divorce is a complicated matter, the situation is made even more complicated when children are involved. Unlike property, children are not divided. Furthermore, the child custody agreement that is reached during the initial divorce process can be altered under a variety of circumstances. One of the circumstances that can lead to the altering of a child custody arrangement is called a move-away petition. Sometimes, the custodial parent may need to move with the children. Prior to this move being finalized, the parent needs to earn approval from the court system. What factors are going to be considered? Without a doubt, one of the most important factors will be the distance of the move. The entire premise of earning approval deals with the impact this move will have on the visitation abilities of the non-custodial parent. A move across town will have very little impact on the other parent’s visitation rights; however, a move across the country is a different story. The shorter the move is, the more likely it is to be approved. The judge is going to examine how the parents have worked together to facilitate visitation because the judge doesn’t want to approve a move that is happening solely to spite the other parent. If the parents have done a good job working together to make sure both parents are involved, the move is more likely to be approved. If visitation has been an issue for the couple, the move is less likely to be approved. Parents should work to make sure that both parents have ample time to spend with their children. Once the first two hurdles are cleared, the judge will examine the reasons for the move. The judge ultimately decides what he or she believes is in the best interests of the children. For example, if the move promises better schools for the kids or a higher paying job for the custodial parent, the move will be approved. In addition, a move to spend more time with family that requires help is also a common reason for a petition. The judge will act in the best interests of the child. For help getting a move-away child custody petition approved, the parent should contact an experienced attorney for assistance.